Photo of Chrysler 200 courtesy of Chrsyler. Chrysler Group has announced regional fleet previews in 25 U.S. cities that start today in Houston and wrap up in late June near Washington, D.C.
Fleet managers will be able to interact with Chrysler representatives at the half-day events and drive the automaker's cars, trucks, and SUVs. 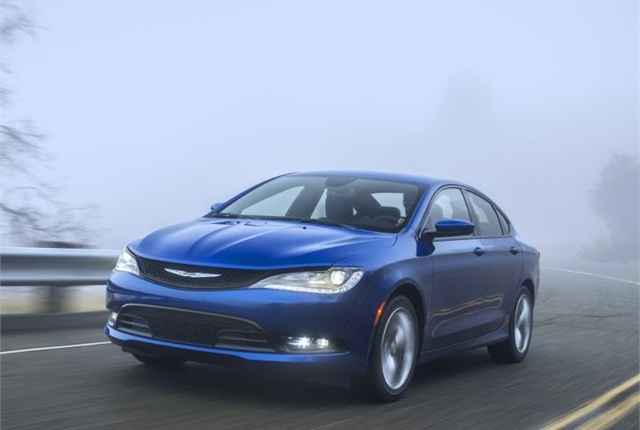 The events will feature the newly redesigned 2015 Chrysler 200 mid-size sedan and Ram 1500 EcoDiesel pickup truck. "With this 25-city national tour, we expect to reach more fleet customers than we ever have with previous events," said Tim Kuniskis, head of Chrysler's fleet unit. "These informative and engaging regional events are designed to build a closer relationship with our customers and to highlight the strengths of our product." The events are geared toward fleet customers in the commercial, government, and rental areas, according to a Chrysler release. To attend, fleet managers must register at ChryslerFleetShows.com. Other vehicles present at the events include the Chrysler 200C, Dodge Charger SXT with all-wheel drive, Dodge Durango Limited, Jeep Cherokee Latitude 4x4, Ram ProMaster cargo van, Ram 1500 with 5.7L HEMI V-8, and Ram 2500 with 6.4L HEMI V-8.